Dr. Avanthi Meduri is a scholar/dancer/actress/playwright/curator and arts administrator. Born in India, she received her PhD in Performance Studies from the Tisch School of Arts, New York University, in 1996. Currently a Reader in Dance and Performance Studies, Meduri is Convener of the first post graduate South Asian Dance Studies Programme at Roehampton University, London. A Fellow at the International Research Centre, Freie University, Berlin, Meduri is co-founder of the Asian Performing Arts Forum, London, a consortia of three London Universities engaged with Asian dance, theatre and performance. 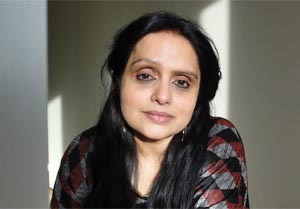 As Convener of the first MA in South Asian Dance Studies, Meduri conceptualized a Global South Asian Dance Studies programme at Roehampton University. Launched in 2005, the programme attracted students from India, US, and Europe; was identified as an ‘area of excellence’ in the UK national Research Assessment Exercise of 2008; and was featured as an Impact case study for the UK Research Excellence Framework (2014). Recipient of several national and international awards and fellowships, Meduri has over 40 publications, among which a book on Rukmini Devi Arundale, which has seen several reprints. In Summer 2016, Meduri curated the ICCR sponsored India-Europe Kuchipudi and folk arts festival which was presented in 7 countries around Europe. As a Ford Fellow, and Academic Director of the Centre for Contemporary Culture, New Delhi, Meduri curated the Rukmini Devi Arundale (1904-1986) photo-archive and presented it in India, Sri Lanka, Malaysia, Singapore, Australia, Japan and the UK (2003-2004). Trained in Bharatanatyam and Kuchipudi, two classical forms of India, Meduri’s performance work explores the intersections between archives, history and biography and is located ambivalently within the field of what is known as 'practice as research.' in the UK.